Located just outside of Pittsburgh in rural Pennsylvania, Elizabeth Forward is considered to be one of the most forward-thinking districts in the country. In early 2010, after coming under new leadership, the district embraced a culture of innovation, introducing new technology and teaching strategies into its classrooms. After joining the League of Innovative Schools in 2013, the Apple Distinguished District has continued to push the limits of student engagement and learning, achieving national recognition for its 1:1 learning initiative and creative approaches to student-centered learning. In this webinar, Dr. Todd Keruskin, Assistant Superintendent of the Elizabeth Forward School District, explores how school and district leaders can build a culture of innovation. Recognized as one of the top administrators in the country, Dr. Keruskin worked with the White House to develop a 10-year STEM plan for schools across the US. 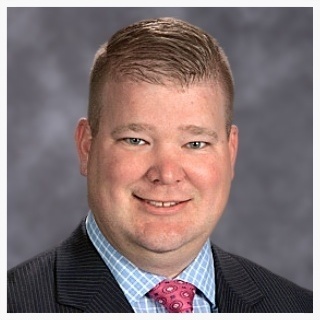 Todd Keruskin joined the Elizabeth Forward School District in Elizabeth, PA, as an assistant superintendent in 2009 after serving for 13 years first as a physics and math teacher and then as a high school administrator for two other school districts in the Pittsburgh region. Elizabeth Forward School District has been named a Digital Promise League of Innovative Schools, and Apple Inc. recognized the school district as an Apple Distinguished Program under Dr. Keruskin's tenure. In 2015, Dr. Keruskin received a Digital Innovation in Learning Award from EdSurge and Digital Promise for his work in remaking teaching and learning. Dr. Keruskin was invited to the White House to present on the maker movement in education. Recognized by THE Journal as one of the most innovative administrators in the country, Dr. Keruskin has led in the development of a high school gaming curriculum, converted Elizabeth Forward's traditional libraries into media centers, launched 1:1 iPad and personalized learning initiative, and is a founding member of both the Pittsburgh SMALLab Consortium and the Pittsburgh FAB Network.